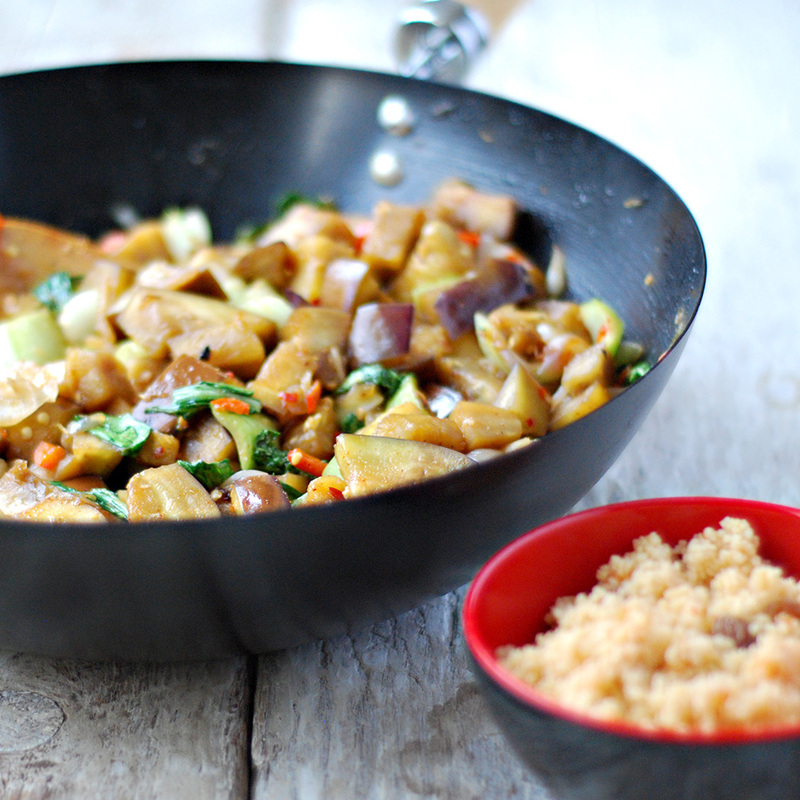 I love both aubergines and couscous, put them together and you end up with a lovely meal. This dish is light and yummy and it can serve up to 5 people. I hope you like it as much as we did. Pour in the boiling water, add the tomato pesto and raisins. Stir well, cover it and let it rest for 10 minutes. Cut the aubergines in big chunks and the pepper into tiny slices. Heat the almond oil on a wok or a big frying pan. Add the shallots and pepper and cook it for 7 minutes in medium fire. Add the aubergines and cook it for about 10 minutes. Add the rest of the ingredients and cook it for another 10 minutes. Serve it with the couscous. Enjoy!